Bee Hives On Lavender And Sunflower Fields, Near Valensole, Provence. France. Famous, Popular Destination For Tourists For Making Vacations In Summer. Royalty Free Fotografie A Reklamní Fotografie. Image 42628591. 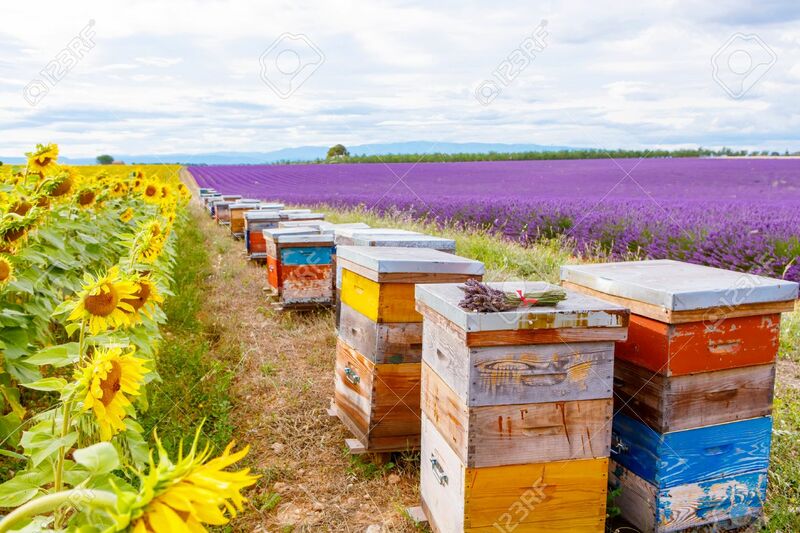 Reklamní fotografie - Bee hives on lavender and sunflower fields, near Valensole, Provence. France. Famous, popular destination for tourists for making vacations in summer. Bee hives on lavender and sunflower fields, near Valensole, Provence. France. Famous, popular destination for tourists for making vacations in summer.